Let the Boston Blogging Begin! 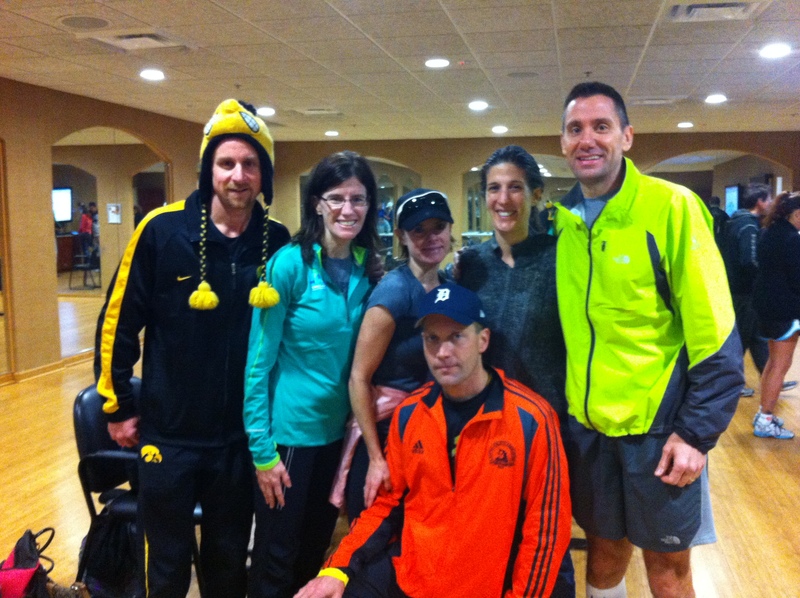 Life Time had it’s Boston Marathon training group pre-training meeting this morning. Basically just a short informational session about how the training will be structured, hotel special, the bus and the activities that will be for the group in Boston. SO EXCITING to start thinking about the payoff for 5 years of marathoning! I’m SO excited – even though I’ll be on a different training schedule than most of the group because I’m making Phoenix be my goal race and Boston just be for fun. 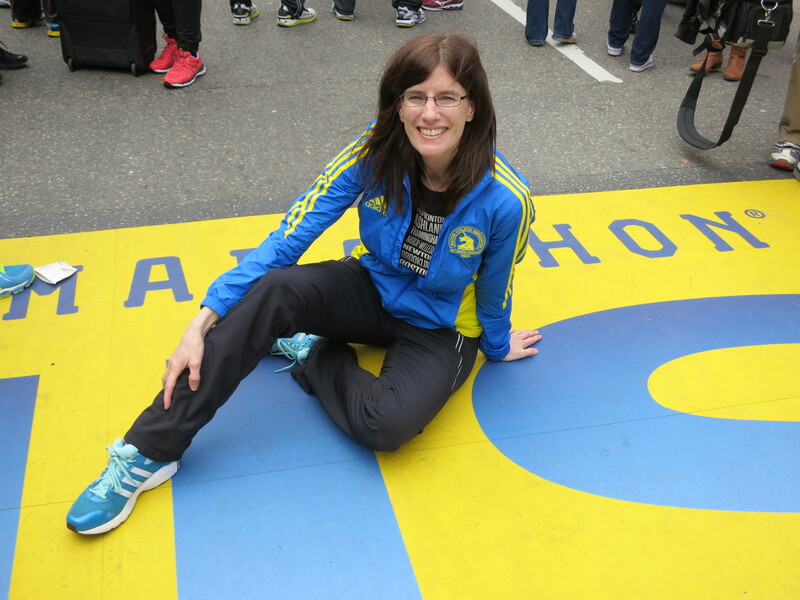 I’ll still end up doing a handful of the workouts – probably long runs – with the group (or the Boston runners from the other clubs that are part of this training group). The biggest benefit of being part of this training group is the bus that we get to take to the starting line. Instead of using the BAA provided transportation (a school bus that drops you off at the start – hours before the race begins) – we have two big chartered buses – WITH BATHROOMS – that we get to hang out on at the starting line until the race begins. This could be HUGE if there is crazy heat (air conditioned bus) or a nor’ easter like there was a few years ago. 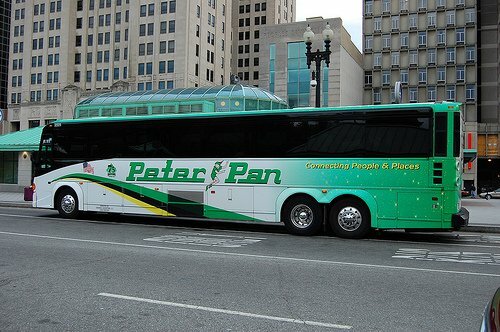 The bus we’ll take to Hopkinton! Stay tuned for lots more Boston blogging! I have missed running with them. They are a good group of people and it was fun to get out and be social with them again. I have lost fitness! I’m not worried – it’ll come back quickly when I start training next week. They are too fast for me. Most of them are men – or speedy (or younger) females. They all run way faster marathons than I do – like 2:50 – 3:15ish. But even if they weren’t faster marathoners, they just like to do all their runs fast. And it works for them (obviously). But it just doesn’t work for me to do 50 – 60 mile weeks and make my long run be a marathon pace run. For me, it’s counter productive. So I’ll need to find a happy medium of fitting in the social aspect of running with the group but following the paces/distances that my plan calls for. Get off your A$$ and make things happen!